Correct, there was never a floating 160 V2 rotor. I did hear rumour of a 160 solid rotor for the trials version of the V2 but never saw it in the flesh. I don't think the caliper will expand enough to be an issue, but I did notice that the bobbins of the floating rotor are bloody close to the frame post mount body. Mounted everything up and works great! Shimmed the caliper with a .5 shim and seems to be prefect. I have Invisframe on the bike too and its just off the frame enough for me to not worry about it. Went for a ride today and this this rips! Happy with my Throttle and Fox 36 160mm fork. I really want a Vanquish but I’m going to have to wait until next year to buy one. I wish but it’s just not in the cards for me right now. Please keep the posts and stoke coming on them. Did someone say these had a low front end? I put 20mm of spacers in during the build just in case. I think they'll be coming straight out and I might have to get rid of the Whisky 25mm rise bars. I found the Throttle to be low at the front end with a Fox 36 on the front. Running 20mm of spacers and the highest rise Next R bar. It was a bit too XC with only 10mm of spacers. I have my Vanquish setup with a Fox 36 Grip 2 160mm travel. I love it. The Vanquish is rated for a 120mm fork, will running 160mm not make it really, really slack? I run my Throttle at 150mm but with a slightly softer spring than is ideal. Going to put the 140mm version of the same fork from my 5010 on to see how it rides at the stock ride height. Grip 2 damper gets good reviews and is a retro fit option for my 2016 36's I think. I'm 6'6". A 120 sits to low for me. I had a Pike 140, the newer one, and I didn't like the fork. I got the Fox and haven't looked back. When you see how high my seat is you'll realize 160 isn't to long for me. If it's slacked out more it isn't much. I put an angle finder on it and it still looks like 67.5 to me. First ride on the vanquish. It's fast, very fast. Everyone who tried it was quick up hill on it. Down hill, I was only getting passed when I couldn't keep the rear wheel on the ground and pedalling became futile. That's when full suspension plays it's trump card. I built it up with 44mm offset forks and the front end felt lovely. Hardly noticed any difference in that respect compared to my Ibis HD3. (very similar trail and wheel flop numbers, so no great surprise). Impossible. 40mm extra travel should be about 2 degrees slacker. I run a -1 angleset and a 130mm fork and mines at 66 degreees. Isn’t the bottle bracket super high and seat angle super slack? I bet that is impossible to keep the front end down on very steep climbs?!? Yea, I’ve got 140mm forks, 25mm spacers, riser stem and 35mm riser bar! Rich is right here. Your bike is way slacker than you think it is and if you doubt this fact then use the attached link to see what your actual geo is. It will also be 20mm shorter in reach which might not help if you are 6' 6". However if it is working for him then fair enough. My analog angle finder says otherwise, doesn’t matter either way. I like it. 100mm 30 degree and 3” riser bars. My seat is about level with my bars. Well, today I swapped the ACS3 kit on the Throttle's 36 from a 150mm to 140mm version. Bike feels more agile with more direct steering. In short, more fun on the local trails which is what this bike is all about. Going up to a harder grey spring has also helped, encourages you to really weight the front of the bike and let the rear skip through over the bumps. Need more time on it, including steep sections, but so far the signs are positive. Thanks, this is interesting. My frame has just arrived at the LBS and I'm about to build with an MRP Ribbon (air) at 150mm. I think I will stick with that for a bit, but i'm definitely thinking that the 140mm is probably where I should end up. When my 36 (2016 model) was air-sprung it would stick down around 10mm after a few rides. I believe this could be fixed by slipping a cable tie under the wiper seals to equalise the pressure now and again but I just ran it at 150mm travel to get around the problem. I then purchased the ACS3 kit at 150mm with the black spring which in hindsight was a mistake. The handling was a little vague and the fork felt a bit harsh on the rough sections. Probably because it was going through the travel too quickly and hitting the air bottom out bumper. With the harder grey spring in the fork and it set to 140mm, the bike just works better for me. Tried it on some steeper black sections near me now and it is much more stable and composed without being boring to ride. I know those aren't laws (and even so, why not break them! )...but how long are people going on the Vanquish (and really liking it)??? 160 and loving it! I previously had a 140 on it. Seriously? That’s 40+mm more stack than stock. That must whack the seat tube angle. I can understand 140 but you should just get an LT full sus and leave the Vanquish’s geo more in the wheel house. Nope! Still a bit to much of a clyde for full suspension. I was needing a lot of stack for my bar height as it was, I’d rather have suspension. The seat angle isn’t as bad as my Highball was. I’m all good and I’m loving this setup. It’s hard to find a bike big enough at 6’6”. Wow the bottom brqcket must be in the clouds! I’m still on 130mm but with a -1 angleset giving me a head angle of 66 degrees. If I was doing it again I’d pribably juat go for the full -1.5. 6-6 definitely sheds some light on your issues and the handle. It sounds like you have long legs as well and a high seat needing the high stack to balance out your cockpit? Hey if it works good on ya! I’m a scrawny little 5-7, 140 lb’r and I want a medium Vanquish and will run a 120 fork up front with a -1 or -1.5 angleset headset. So it’ll still be slack HA but low BB, low in stack and steep in the seat tube. I’ve got my Evil Following set up like this 120/ 120, -1 deg angleset and the bike just rails corners, berms and jumps/ drops. To each his own right? Thanks for the explanation! BTW, Hows the frame feel being a big guy and all. Stiff, compliant and all around? No complaints at all on the frame. I have seatpost for days! But ya it works great. 100mm 30 degree stem with 3” Answer bars and I have a really good feeling cockpit. If the frame was a couple inches longer it would fit me even better and I could run a short stem with some more stack. This bike has given me a lot more confidence over the XXL Highball I rode previously. It actually climbs better in my opinion over the cross country frame to. Just got mine built up. Nothing too different about the build. Shifted the drivetrain and brakes over from my old hardtail, got some nice light wheels built up- WTB KOM i29 on DT 350s. The forks are set at 130mm and having tried for size previously I felt the large was a touch on the short side so have a reach adjust headset on there which gives me an extra 5mm on the reach, and can still run a 50mm stem. I was interested in the chat here about slack sets etc. however I really want this as a light, quick trail bike that is quite different from my full sus, and felt if I started to slack it out then I'd lose some of that, so kept things sensible in terms of fork lengths and head angles. Only one ride but very impressed so far. BigART, If your fork was set to 120mm then your frame reach would effectively be 40mm longer allowing you to run a 60mm stem. But than the bars sits way to low for me. I’ve been down that path before. I’ve got a handful of stems and had a few forks that I’ve tried. The vanquish stack is low low low... i’m 6’1 on a large and I have 25mm spacers under stem, a riser stem and a 35mm riser bar, wifh fork bumped up 10mm and its still on the low side!!! Routing the dropper was not fun! Ended up getting my girlfriend to use the end of a fly swat (had a big hole) to pull the cable round the bend into the seat tube! Should be able to ride this time tomorrow! Haha! I remember routing the dropper well! :-) Second time around I joined two outer cables together at the bottom bracket hole with electrical tape and pulled one length through. Has anyone used the Throttle as a dirt jumper? How does it compare to an actual DJ? To route the dropper, I dropped a weighted piece of string down the seat tube and fished it out through the bottom bracket. Then fed the brake housing down from the head tube and out the bottom bracket. Once both were out, I taped the string to the brake housing and then pulled it up the seat tube while giving a little push from the head tube. I’ve ridden the throttle on the pump track and dirt jumps. It is a ton of fun on the pump track, though it really needs to be tipped way over to carry speed through tighter turns compared to a true DJ bike. On the dirt jumps, the slack head angle makes the bike feel extremely different from the tighter angles and shorter wheelbase of a dirt jumper. Even with the fork locked out, I could not really get the bike to pop the way a dirt jumper does, and I had trouble clearing some jumps that I can clear easily on the dirt jumper. Finally finished! Been on a couple of rides now and I'm stoked. Running fork at 150 and I think I will leave at that. The XL shows 640mm for stack. I love high stack bikes, which usually translates to 640mm for a FS bike. I know once you figure in the sag of the front fork for a HT the sag drops. I'm 6'3 and prefer my handlebars equal to my saddle height. I have narrowed it down to the Vanquish or the Big Honzo CR. Looks like the Honzo has higher stack, but lots of reports on an excessively harsh rear end. Thoughts? Rich and Big Art, do you mind posting up a pic of your rig? I'd like to see how the bikes look when all measures are used to get the stack up and also how it relates to saddle height. Thanks in advance! 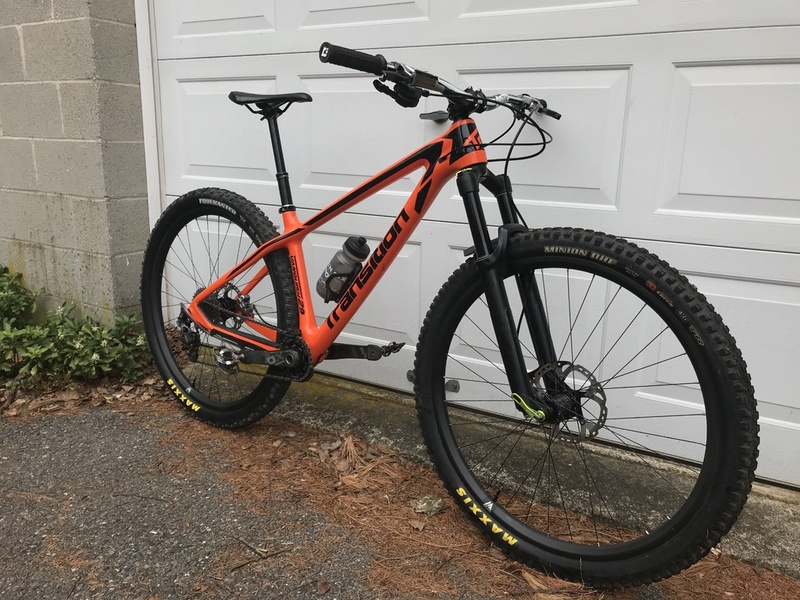 Anyone using the Vanquish for more XC type stuff? I'm building a new hardtail race bike for endurance events but really don't like the long/low geometry of most xc bikes. Any xc bike I get would get a 34sc fork at 120 anyway. 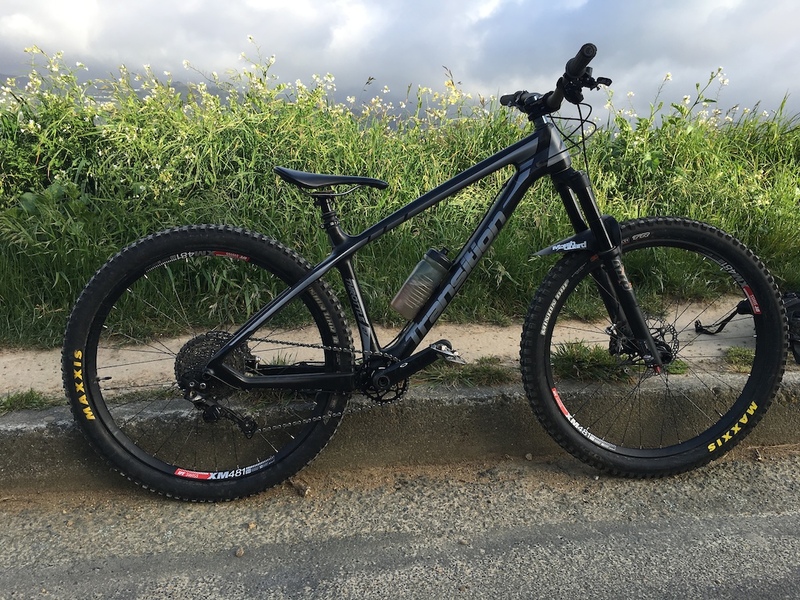 Have considered the Pivot Les (short reach and need to run a 90mm stem) and Honzo CR (rear tire size is only 2.2 and some cushion would be nice) as well as more traditional xc bikes like the trek procaliber. So the question is make a more trail oriented bike more xc or make an xc bike more trail. The rest of the build will be super light regardless of frame. I've done 100 mile races on the Transition Scout. Obviously a not a bike your looking into, but same design philosophy as Vanquish. I say comfort is most important part of endurance. If your comfortable on a more trail oriented bike like I am, then it will probably be the best bike for the race. I have a Vanquish on order and I plan on possibly using it for endurance. Although I may stick with the Scout depending on course. Thanks. This is helpful. The Vanquish would be a complement to a Yeti sb100 so I do trend towards a trail bike. One of the benefits of the Vanquish is that I can set it up the fit almost identically to the sb100 without using long stems or stacks of spacers. I keep looking at the same gap in bikes between light weight xc rides that are still a bit conservative on geo, but slowly moving in the trail direction, and aggressive AM hardtails which are either heavy and/or go a bit far in the other direction (not liking the super low bb's, and I don't need a 64HTA). Got my Vanquish built up. 25lbs with pretty heavy tires. 160 Hope rotor/calipers fit with a small spacer. Tire clearance is pretty close with TRS 2.35 tires on 35mm rims. They say that TRS tires are wider than advertised and 35mm rims is quite wide. So 2.5 could probably be pushed with a narrower rim and different brand of tires. Last edited by Madisob; 12-05-2018 at 08:31 AM. I really like the grip2 damper on the fox 36 and am toying with overforking to 150mm. The MRP ribbon doesn't come in the right offset for 27.5. What do you guys think? Bite the bullet and get the 150 or stick with the 34 with the fit4 damper. Does the 36 come in 150mm with the GRIP2 damper? I thought the 150mm versions used the FIT4 as the shortest travel GRIP2 I have seen for sale was 160mm. I have run my Throttle at both 140 and 150mm with a ACS3 2016 Fox 36 and it definitely handles better at 140mm. Grip 2 36 can be easily changed to 150mm with a new air shaft. Now we are talking lots of money. Is it really that much better than a fit4 34? Is there a mrp ribbon option? I only see the right offset in those for 29". The 36 is stiffer and the coil is way more supple than any air fork I have tried. The performance is consistant regardless of how many hours the fork has done since its last service. It is heavier and more expensive though. However, pick up a 2018 36 and put an ACS3 kit in it and the price difference is much closer. The coil will make more of a difference than the GRIP2 damper. Small bump performance and traction in wet, muddy sections are the main advantages of the ACS3 kit. Last edited by Pixels42; 12-05-2018 at 11:37 PM. Got a good deal on the frame and 42mm offset 2018 pike solo air that Transition sells with the bike so that's the plan for now. I'll upgrade to the debonair and maybe the spring later on the first rebuild. It'll be a light build with 2.6" minions. Can't wait! Cool, the Pike is a good fork as stock and like you say, can always convert to coil later on if you feel the need. Few good deals on these frames just now. Where are you finding the good deals on frames? The best I can find through my google machine is $1,444. LBS cut me a deal. Check yours to see what they can do, if you have one. Hi all, been loving my Throttle, but I'm keen to try and reduce some of the cable rattle. I'm thinking of trying some insulation foam. Foam pipe cladding worked for me. I've been looking for some pipe cladding with a 5-6mm ID, but these sorts of things can be tricky to find online in New Zealand. Also came across Jagwire foam damper, but it's quite expensive for what it is. Have a look at air conditioning suppliers, that's the most common application for small bore lagging. So, has anyone done a real comparison of the Throttle and Vanquish? I'm happy with my Throttle, but I'm debating if the Vanquish is different enough to serve as an XC HT in my quiver or if it's just too similar to the Throttle to be distinctive. Other than a dash of travel and a hair of wheel diameter, it seems like it boils down to tires. 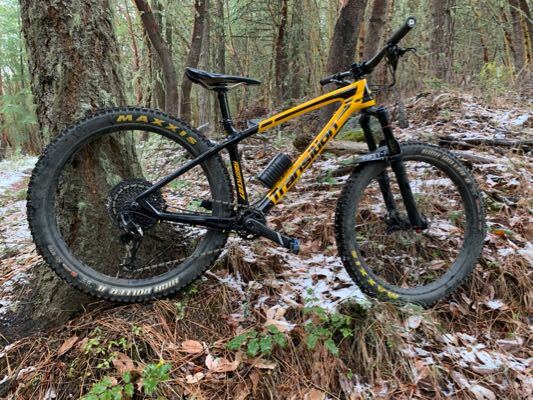 I havent ridden a throttle to compare, but as a vanquish owner I would say that its more of a trail hardtail (or with a -2 headset and 130-140mm fork an AM hardtail) than an XC bike. 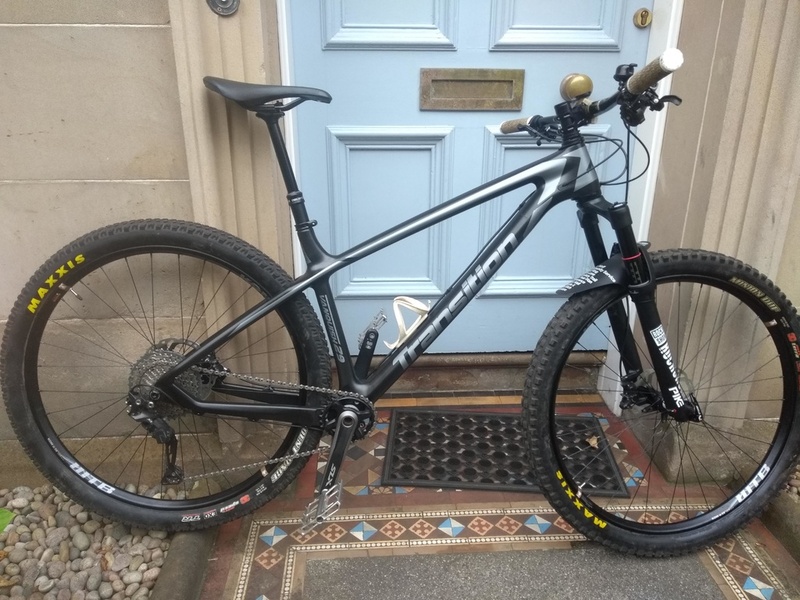 Its very compliant (which is brilliant for what i want it for) but it isn’t massively lateraly stiff like an XC carbon hardtail. I owned a scott scale 910 a few years ago and this bike was a rocket uphill compared to the vanquish. I demo'd a Vanquish and ended up buying a Throttle. From what I remember the Vanquish rolled over trail obstacles better but felt more like a xc trail bike. The Throttle feels lower slung and more responsive to rider inputs. I just switched from Reserve 27 to Reserve 30 rims on the Throttle and I could not believe the difference (with the same tyres). Bike is better cushioned with more grip...... the lower tyre pressures and bigger volume have made such a difference. Recently bought a V3 5010 which is also classed as a 650b trail bike, both bikes are fun but in different ways. Good info, thanks! I have an older Flash 29er that is an XC rocket, but it's traditional XC geometry and I'd like something more trail fun, which is actually how I ended up with the Throttle, thinking it could also double as a "good enough" dirt jumper trainer and pump track bike. 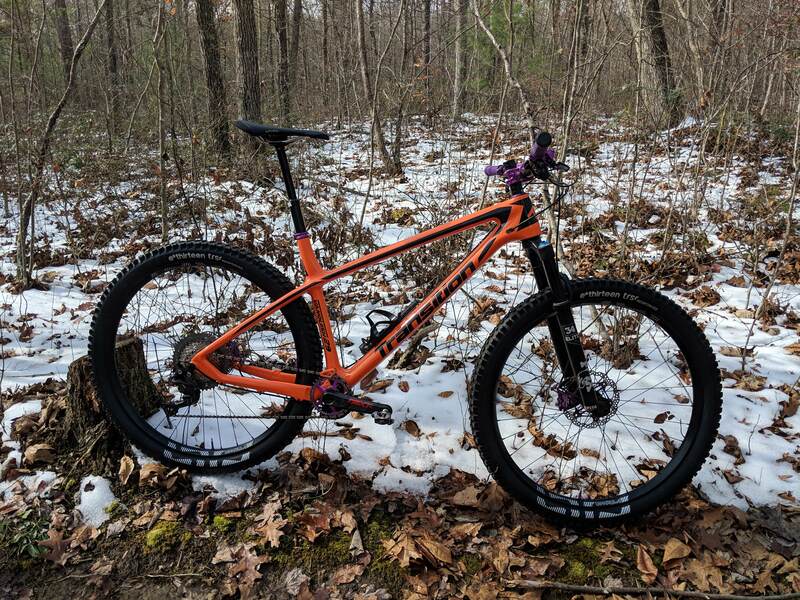 But, my main bike is a Ripmo now, and the Vanquish would be nice as it's also a Boost 29er and I could share an "XC wheelset" (XC wheelset mostly meaning something loaded with more XC-ish tires than the Ripmo's 2.5 DHF/Aggressor combo) between the two. Although, after saying that, maybe I should just save the money and get an XC wheelset for the Ripmo... What's the fun in that, though? Interesting comment about the rims. I'm considering the reserve 30 for my vanquish. Either that or the LB. I have owned various Enve rims over the years and both the Reserve 27 and 30 rims are far, far nicer to ride about on. You notice the weight difference between the two Reserve rims, the 27's spin up faster and feel slightly less stable through rough section. Like they ping of rocks and roots more. The 30's slightly slower to turn and accelerate but much better in terms of grip on trail obstacles. Not tried the LB rims so can't comment but absolutely no regrets with either Reserve rim. Last edited by Rose5; 03-02-2019 at 03:07 AM. Update : Throttle is awesome. Built with 35mm dt swiss rims, DHF 2.8in f/r. I am as fast on this bike compared to my patrol on the flowy berm trails. So fun and good rear compliance. Can't believe this bike isn't more popular. Nice. Do you think a smaller 29er tire would fit in the rear? Not sure but there isn't a ton of room for the 2.8s, probably couldn't take a 3in maxxis. holy smoke - thats a long thread! great reading. Anyone managed to fit 34T oval without any issue to the vanquish? Just swapped my parts over from my Smuggler frame. First time I've had a HT for a trail bike in like 20 years. It's different for sure, but a super fun ride. Not at all. Without sag from the rear suspension the bb doesn’t feel as low. what is the main difference between transition scout 2016 vs transition scout 2015 ? 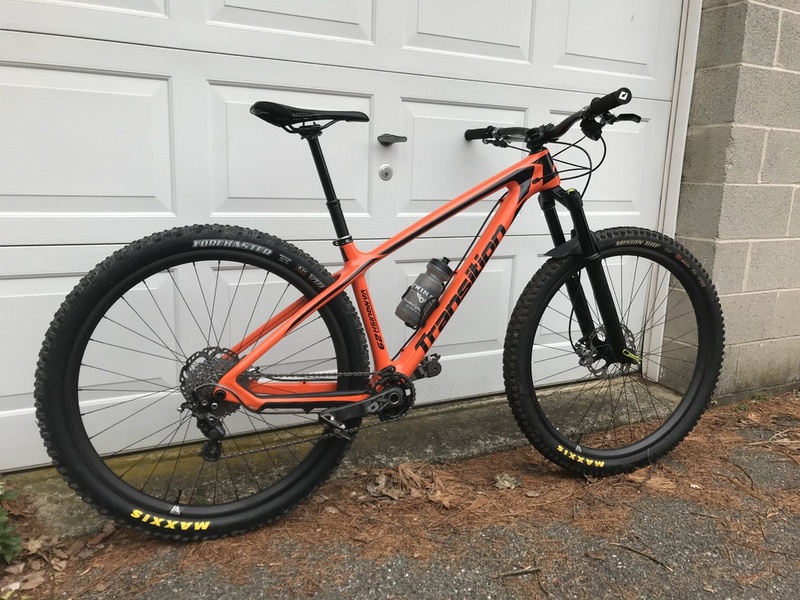 Transition Bikes support - thank you Transition!